New month = *NEW* Close To My Heart Stamp of the Month! 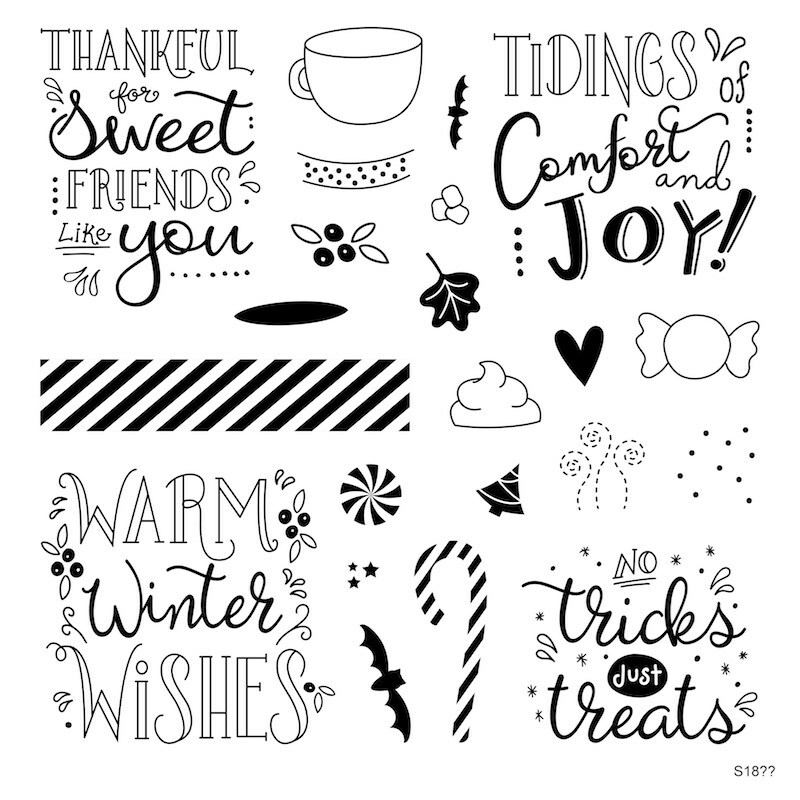 And the September Stamp of the Month, Just Treats, is definitely a MUST-HAVE 🙂 Check out all the great sentiments and images you can use for the everyday as well as the upcoming holidays and seasons. For today’s card I used the *NEW* Love of Color Guide to pick a good color combination to go with the *NEW* Candy Apple red color I chose as my main color focus. Years ago, Close To My Heart had a Color Guide which I absolutely loved using because it paired colors together that I would not have thought to group together. I was SUPER excited when they brought out this new color guide. Not only is this guide wonderful for providing you some perfectly balanced color combinations, but there are some amazing project ideas/inspiration you’ll find, too! Remember, with any $50+ purchase, you can get the Stamp of the Month for only $5. That’s an amazing deal on a killer stamp set! Don’t miss your opportunity to grab your own set before it’s gone. You can find it and other Close To My Heart products on my ONLINE CTMH STORE. This entry was posted in CTMH Card Ideas, CTMH Specials and tagged Alcohol Markers, Close To My Heart specials, Close To My Heart stamps, Stamp of the Month, stampers, using clear stamps card making. Bookmark the permalink.